The Researchers found a elastomer in the freshwater polyp Hydra’s weapons system. Named as the Cnidoin. A kind of harpoon launched from this ancient animals’ body within a few nanoseconds and It is a one of the fastest processes in biology and involves volumechanges of the highly pressurized (150 bar) capsule of up to 50%. This Hydra nematocysts structural component’s structure was mainly defined as a stress-resistant collagenous matrix. There are many type of elastomeric protins found animal bodies. The resilin in the wing joints of insects and the elastin in the pulmonary alveoli of higher vertebrates are two examples for elastic protiens. 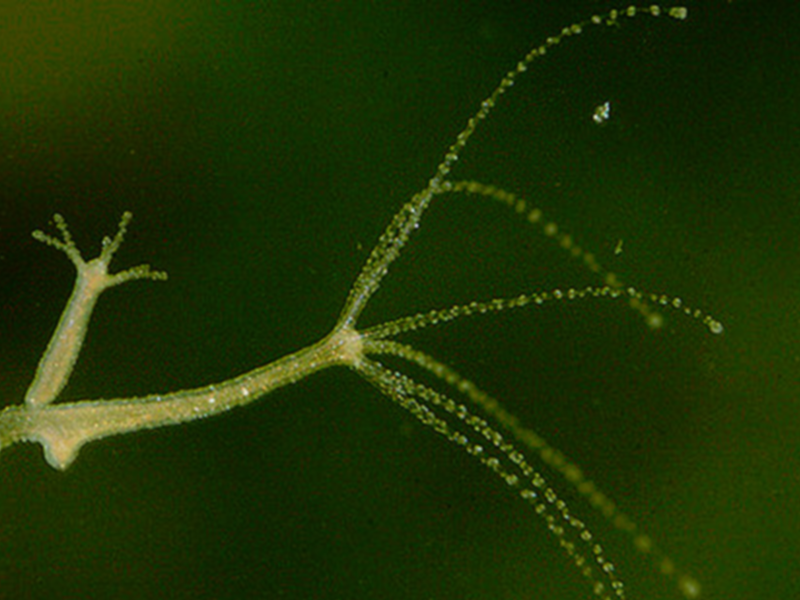 Nematocytes or stinging cells of jellyfish and other cnidarians produce a unique toxic organelle consisting of a spherical capsule to which a long tubule is attached. 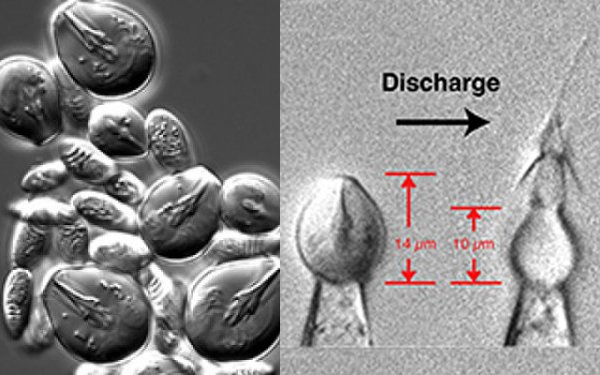 The tubule is tightly coiled inside the capsule matrix and expelled in a harpoon-like fashion during a nanosecond discharge process. The nematocyst wall is built of a dense matrix consisting mainly of minicollagens, which represent a unique feature of cnidarians. Cnidoin protein is a structural component of the capsule wall, which is elastically stretched prior to discharge and firing of the harpoon. an unusual elastic protein Similar to spider silk proteins is helped to these process. The special properties of the elastic protein are principally responsible for the enormous acceleration of the “harpoon tip” that occurs during the discharge process and the bio mechanical properties of cnidoin are comparable to those of other elastomers. According to the researchers Cnidoin is oldest elastic protein reported so far and they assume that this elasticity originated in the Cnidaria and evolved as part of their ‘weapons system’. This discover was done by the Scientists of Heidelberg University.